Cord bloods are those which are taken from the umbilical cord of a new born baby, which is usually rich in precursing the blood cells and are hematopoietic in nature. They are usually preserved for long time in hospitals where they were born in order to help them in treating with any diseases or syndromes related to the immune or the blood at a later stage. But many are unaware of this fact and do not know the importance of saving cord bloods. While there are several advantages of preserving the cord blood cells, there are also some disadvantages of preserving the cord blood cells. In this article, we will throw some knowledge on the Pros and Cons of Cord Blood Banking, based on the plethora of facts gathered from the medical experts. There might be many discussions and misinterpreting facts about the cord bloods preservation in blood banks. Lets first have a look at the pros of cord blood on the first while the cons will feature later in this article. Cord Blood has the capability of getting associated with all types of blood cells and can easily be used in treating the diseases which harms the blood and the various other functions of the immune system. They are very much useful in curing diseases which may include typical types of cancer, diseases found in the blood cells and metabolism problems. For patients undergoing transplantation surgery it is easier to get cured with the help of cord blood cells. The major therapies done with the help of cord bloods has shown higher rates of success when compared to the other procedures followed. The reason being that the techniques and researches have improved many process and criteria in selecting the desired and most matched blood among all the other groups of the blood, which has helped the doctors in easy decision making at significant times of treatment. These cord blood cells have become a major evolution in the medical field as it is true that they show better success rates and also they have more capability of dissolving the infections in the blood and the immune system which promises for a better future in the field of medicine. 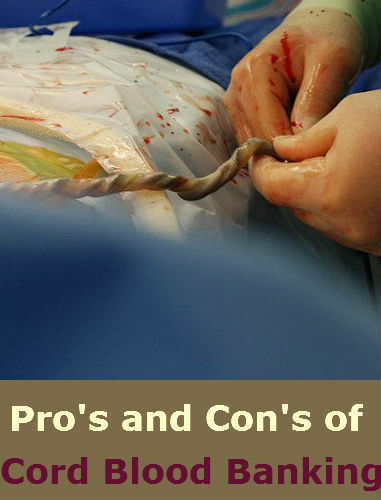 Hence it is regarded to be the best resource in future medical procedures. Whenever you are in need of cord blood, you can easily get it from the private place you have preserved it since there are no much complications of getting the required cord blood when compared to other techniques. Also, these cord blood can only be accessed either by yourself or your family members, apart from which no one can be able to use your cord blood. If you store the cord blood in a public bank, there are possibilities that your cord blood may be given to someone who needs it for treatment. The cost of the cord blood is always high in private banks, even though you can donate it free of cost, they will have charges separately for storing them in private banks which are usually laid on the customers on an annual basis for various purposes like collecting samples, test procedures and registering them. Stem cells which are rich in cord blood cells, can be used for treating various types of diseases and it is obvious that your child may not need it in most cases. The possibility of your child needing his/her stem cell is usually 1 in 200 patients according to the recent research.This is mostly true based on the family history of diseases. If your family members are free from the attack of several diseases like anemia, cancer etc, then you may need it. The cord blood can be used to treat diseases which are mainly concerned with the immune and the blood system. For instance, if your child is born with some typical disease like muscular dystrophy then the stem cells will also have the same syndrome. For such cases, they will be treated only with the cord blood cells which are disease free. Mostly, the cord bloods are usually preserved in the public banks and the private banks. While the public banks store your cord blood for a long time even if no longer needed by you. But most of the private cord blood banks, usually discard the cord bloods if they are not required by the concerned family any longer.